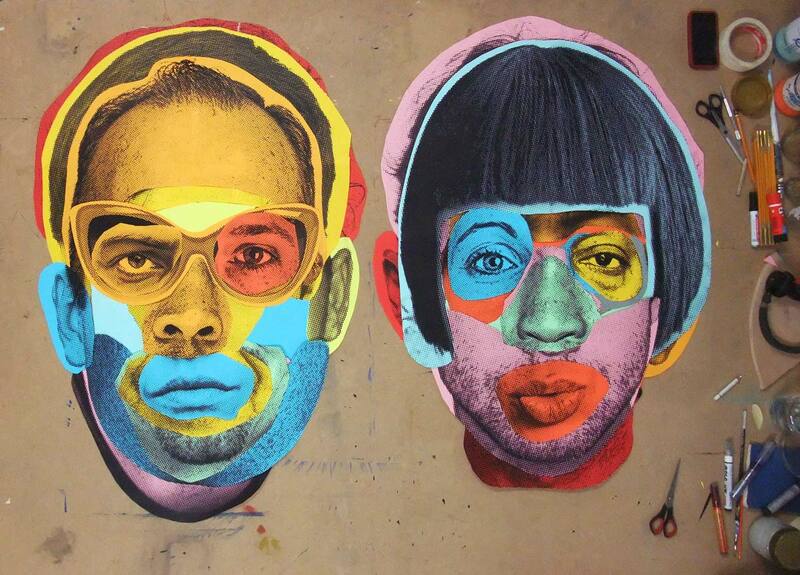 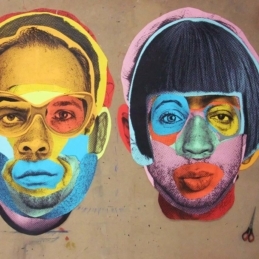 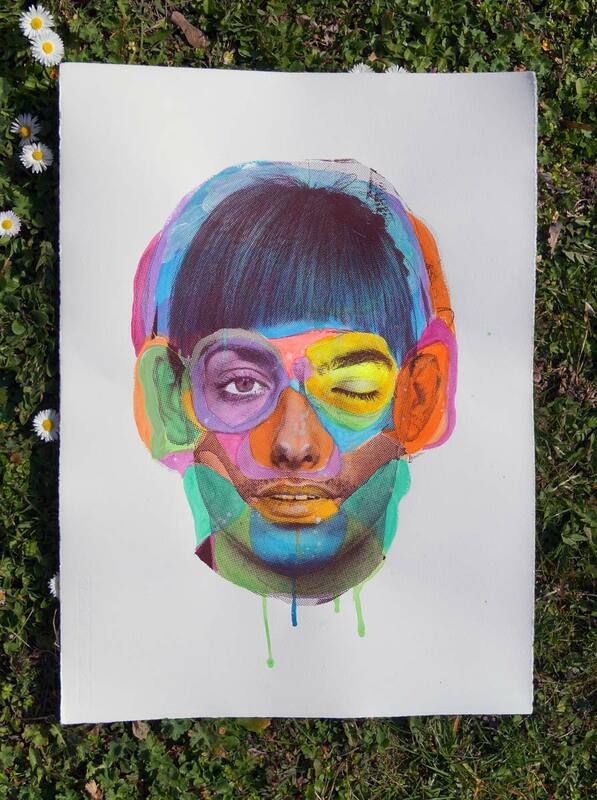 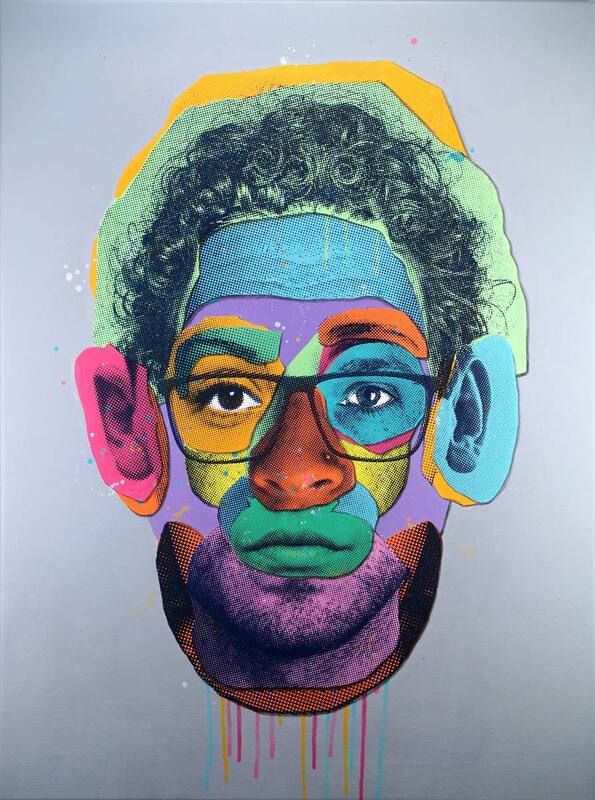 This series presents character studies in the form of collaged heads. 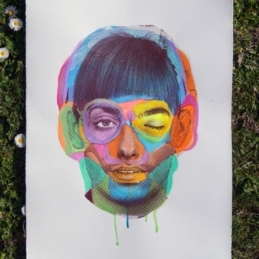 Looking for fictional individuals the artist duo assembles varied facial parts inventing new characters along the lines of an identikit picture catalogue. 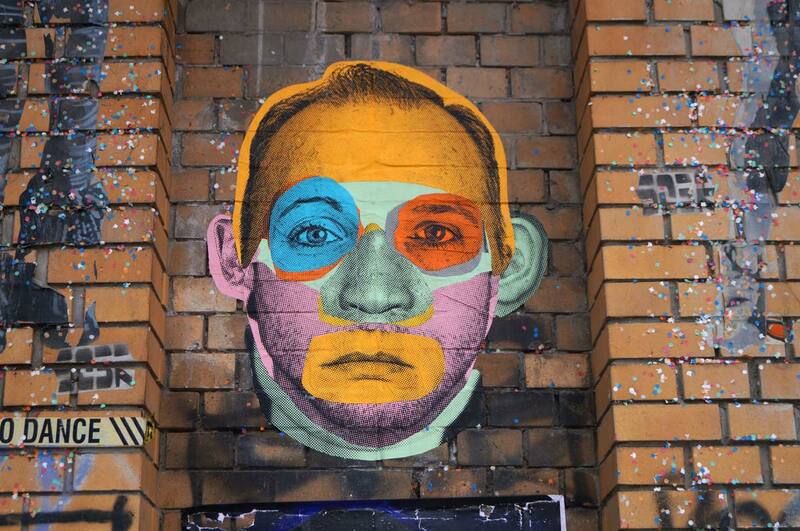 Only at second glance the particular facial elements can be detected and become gradually visible. 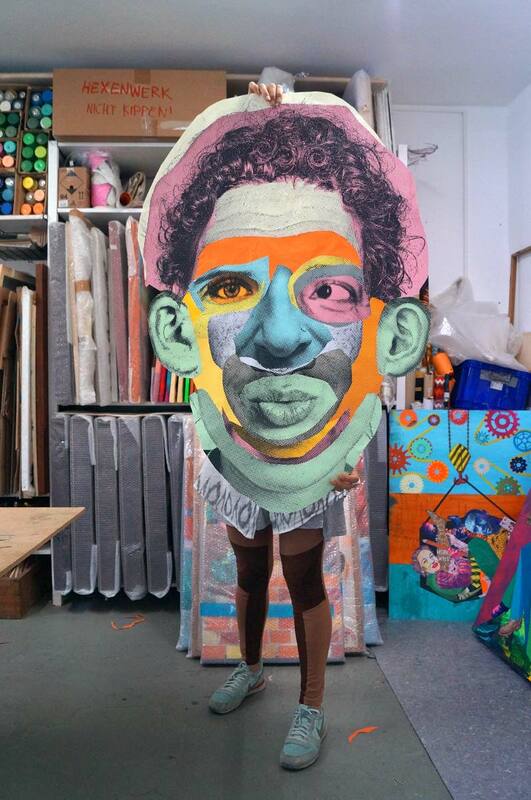 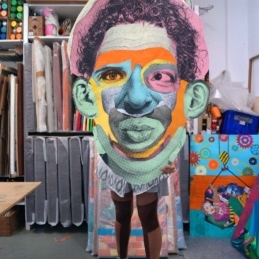 With their Dadaist patchwork identities Various & Gould subvert common beauty ideals and celebrate human diversity. 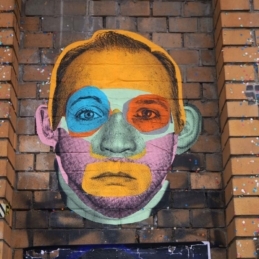 Even if their characters are fictitious and bear no name they appear more realistic and authentic than many of the glossy beauty faces represented in the daily news. 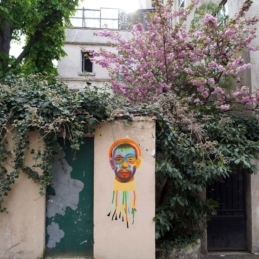 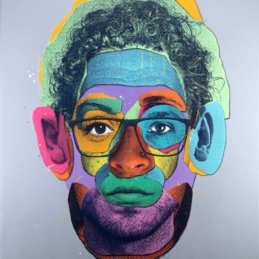 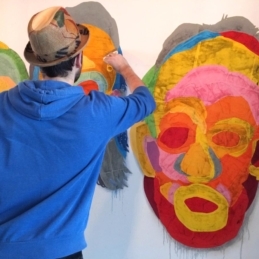 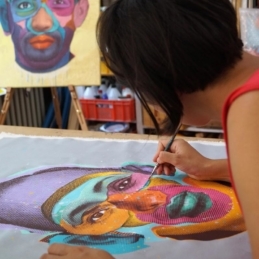 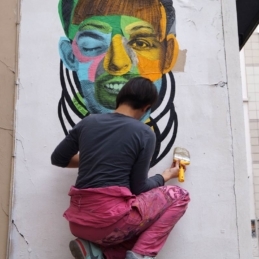 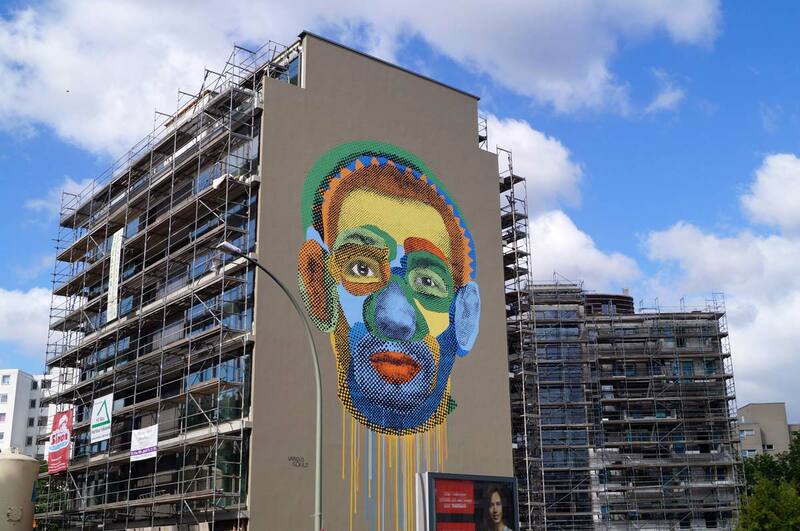 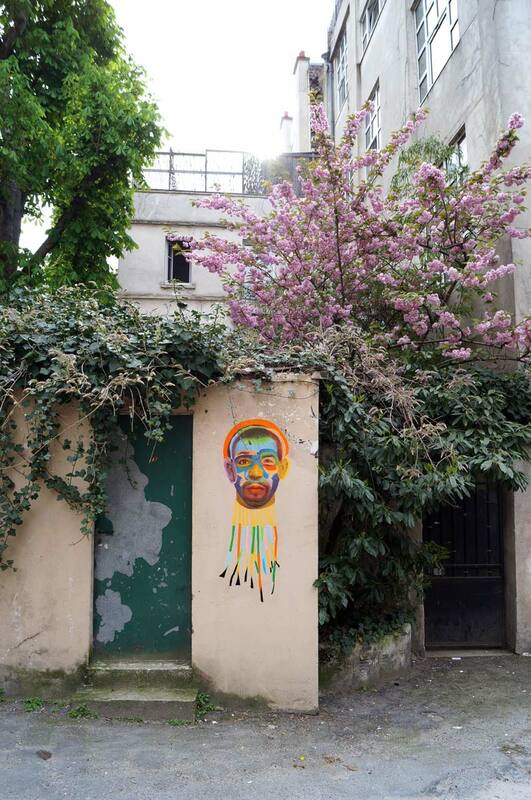 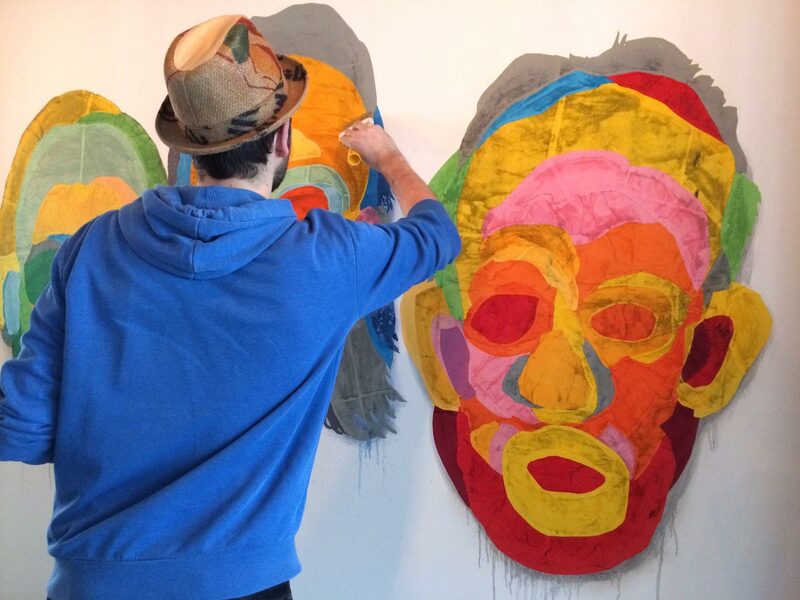 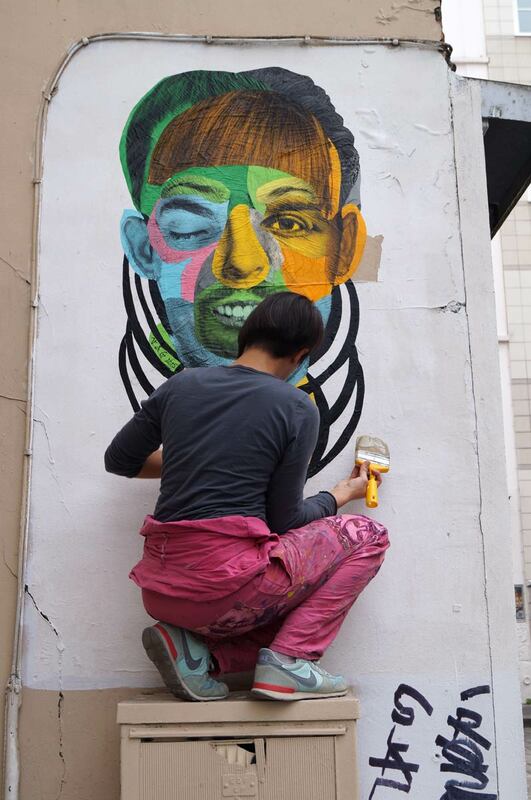 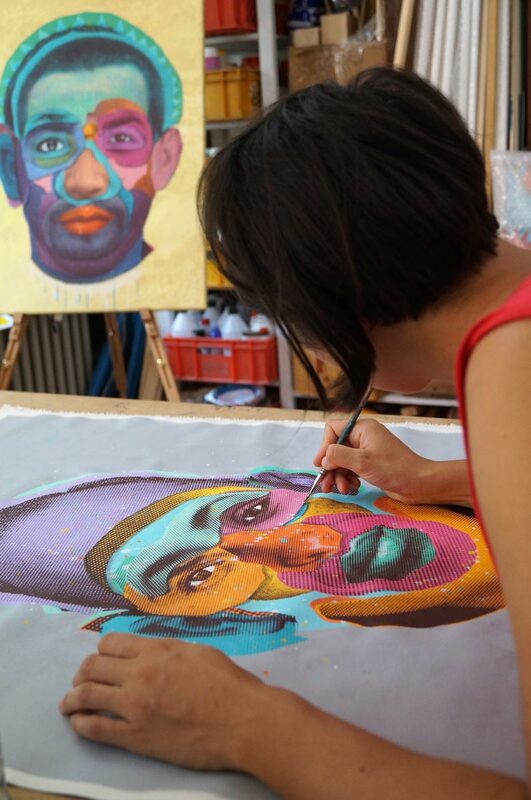 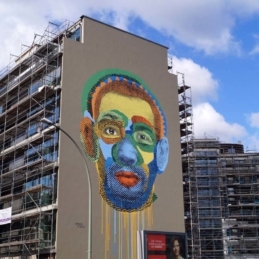 With the “Face Time” mural Various & Gould are adapting their significant mix of screen-print and collage for the first time in a painterly manner to a large scale (350 m²).